In the U.S., we’re lucky to have a set of environmental laws that exist to protect the irreplaceable wildlife and wild places that we all love—and that includes the marine life and habitat. But those laws don’t mean much if they're not enforced. Our oceans are in crisis. Irresponsible fishing practices, pollution, and habitat destruction are wearing down the health of ocean ecosystems. Noise pollution from sources such as sonar, emitted by ships, is harming and even killing whales and other marine mammals. 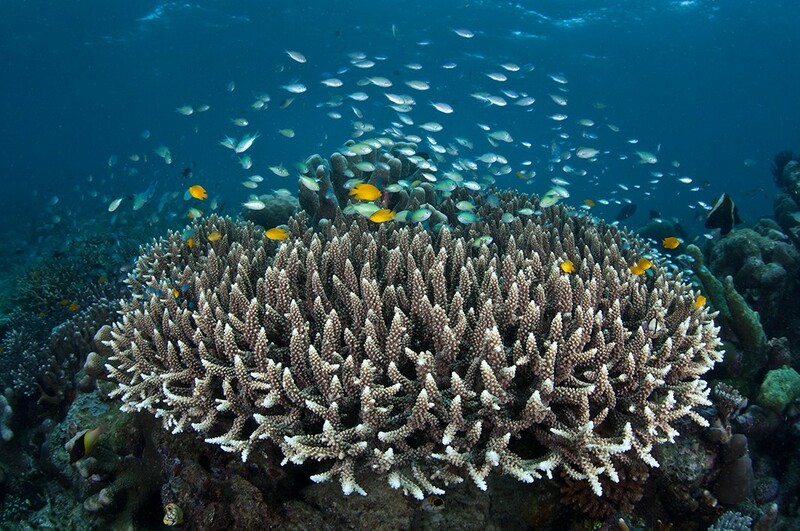 Ocean warming and acidification are threatening coral reef and other vibrant, fragile marine ecosystems. Earthjustice has a comprehensive approach aimed at building a healthy ocean strong enough to bounce back from the activities that are harming it. Attorneys Steve Mashuda and David Henkin discuss how Earthjustice is fighting to protect and build the resilience of our ocean ecosystems. The teleconference is moderated by Campaign Manager Kari Birdseye. Recorded on February 12, 2015. Kari Birdseye: Hello and welcome to an Earthjustice Teleconference. I'm Kari Birdseye, and I am here today with Earthjustice staff attorneys Steve Mashuda and David Henkin. Steve works in Earthjustice's office in Seattle and David in Honolulu. Together, we'll talk about the work we're doing to protect and build the resilience of ocean ecosystems. We've been in working to protect our natural world for more than 40 years—fighting for the right of all to a healthy environment. We exist because the Earth needs a good lawyer—and that includes oceans too, especially when you consider that oceans cover more than 70 percent of our planet. Steve Mashuda: Hello to all of the supporters on the call. Thank you for joining us today. I'd like to start by having us think about the ocean ecosystem in the same way we think about our own connected lives. The ocean is an interconnected web of species and habitat—what affects one type of fish or habitat in one place, can create a ripple effect for another entity in the ocean. For example, if you remove sea otters from the coastal ecosystem, you lose the kelp forest that depends on the otters to keep kelp-eating sea urchins in check. On the positive side, we can see what happens when we protect all the strands in the ocean food web. This past summer, New Yorkers got to see humpback whales feeding on herring in the shadow of the Empire State Building. Just like all of us, the interconnected web of marine life thrives where there is clean water, healthy and plentiful food, and a safe place to live. In the U.S., we're lucky to have a set of environmental laws that exist to protect the irreplaceable wildlife and wild places that we all love—and that includes the marine life and habitat. But those laws don't mean much if they're not enforced. Earthjustice works to make sure that the laws designed to safeguard our ocean ecosystems are enforced, to ensure that species and their ecosystems are protected, and that they have a fighting chance to adapt to a changing world. It's an ongoing and, in many ways, an evolving effort. But we're in it for the long haul. First, we work to promote sustainable fisheries management to prevent overfishing and excessive bycatch. For example, in New England we've won a string of court decisions targeting the overfishing of groundfish, like cod and flounder. And we continue to work to reform what's been called the "poster child" for bad fisheries management, in New England. In Alaska, we just returned to court to prevent the government from rolling back protections—protections that we helped secure—that require the industrial trawl fleet in America's largest fishery to leave enough fish to feed endangered sea lions. Elkhorn and staghorn corals, once the dominant reef-building corals in the Caribbean, are perilously close to extinction today. Next, we're working to safeguard imperiled marine species through litigation that holds polluters accountable and stops harmful fishing practices that put the oceans' inhabitants at risk. In Hawaiʻi, we've won two cases to stop Maui County's illegal use of injection wells to dispose of sewage wastewater. 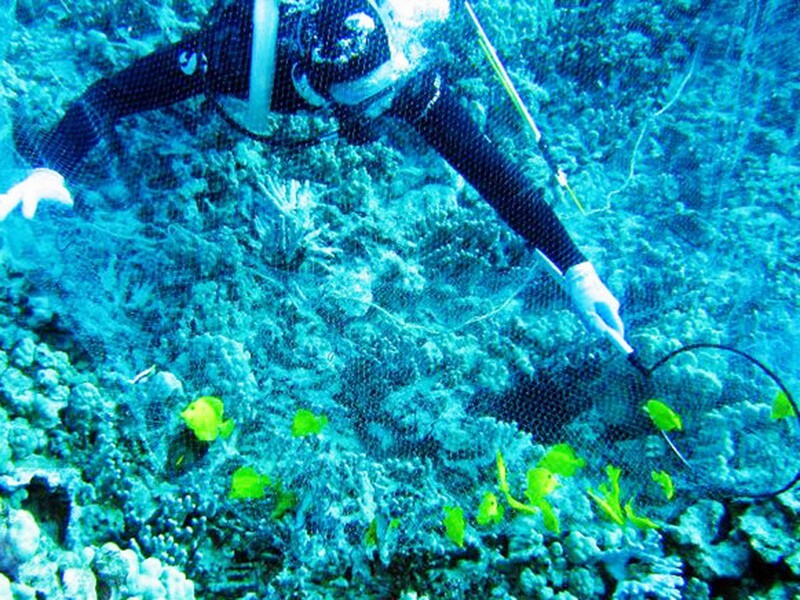 That wastewater resurfaces just offshore, polluting the water and destroying coral reefs. The county is now facing millions of dollars in fines for past pollution and has to change its practices—or it'll face millions of dollars more. And finally, we're working to build resilience to climate change by working with local and international stakeholders to reduce environmental stressors like pollution, so that marine animals and coral reefs can withstand increasing acidification and warming that's happening in our oceans. Coral reefs and other habitats that are already degraded are especially vulnerable to those changes; we are working to rebuild and protect healthy reefs so that climate change impacts aren't the straw that ends up breaking the camel's back. In the Caribbean, for example, many reefs have already been hit hard by the side-effects of overfishing. Parrotfish that once teemed on these reefs play a vital role in the ecosystem by feeding on the algae that otherwise takes over and smothers the coral. We're in court successfully fighting to stop the destructive overfishing of this keystone fish and to move the benefits both to the fish themselves and the entire ecosystem on the reef. Our oceans are facing a multitude of threats. For too long, humans have been taking too many good things out of the ocean and have been putting too many bad things into the oceans. We can no longer view the ocean as an inexhaustible, limitless resource, if we are to sustain these resources going forward. Earthjustice is fighting in court every day to turn the tide against those threats. "We can no longer view the ocean as an inexhaustible, limitless resource, if we are to sustain these resources going forward." Kari: Steve, you mentioned a few of the cases that we are working on collectively as an organization, but tell us about one of the cases you're working on. Steve: Just over the past few months, I've started to work on an issue with a number of groups to oppose oil and gas development along the Atlantic coast of the United States. Many folks have probably heard that about ten days ago the [Obama] administration announced a draft plan for coastal oil and gas development. That plan, unfortunately, would open up coastal waters from Virginia to Georgia to offshore oil rigs. This is a classic double whammy for the ocean ecosystem. First, it places those coastal waters at risk from oil spills and other accidents. Then second, the additional fossil fuels that we would extract through those oil and gas activities will further exacerbate the ocean acidification and warming that we are already seeing with climate change. To add insult to injury, all of this would kick off with seismic exploration activities that could start as soon as later this year. To do the seismic mapping, several contractors are seeking permits from the federal government to tow underwater air guns that generate extraordinarily loud blasts of sound every few seconds, and to tow those air guns across wide grids, in very vast parts of the ocean. This would flood a good area of the mid-Atlantic coast with deafening levels of underwater noise. As David will talk about in more detail, whales and dolphins are built to send and receive sounds—they rely on sound to navigate, to communicate, and to find prey. The level of seismic exploration that's been proposed here would result in tens of thousands of instances of harassment or harm to whales over a five year period. That harm includes everything from interfering with their migration to driving them from feeding, calving or breeding grounds, and up to and including causing temporary or permanent hearing loss. Luckily, so far no permits have being granted for this activity and we've been focused on advocacy to ensure that the National Marine Fisheries Service, the agency that is charged with protecting these animals, does its job and projects endangered whales from a potentially devastating activity. This is a very fast evolving issue and there will be much more to come, so I encourage everyone to stay tuned. Kari: David, you work out of the Earthjustice Hawaiʻi office and have an important case right now focused on protecting whales, dolphins and other marine animals from the Navy's use of sonar and explosives, as Steve just mentioned. Can you tell us about that case? David Henkin: Aloha. I appreciate the opportunity to talk to everyone today. The case that we are currently fighting in federal court is the latest of a series of cases that Earthjustice has brought to protect the ocean environment and, in particular, marine mammals from an ongoing assault by U.S. Navy training. 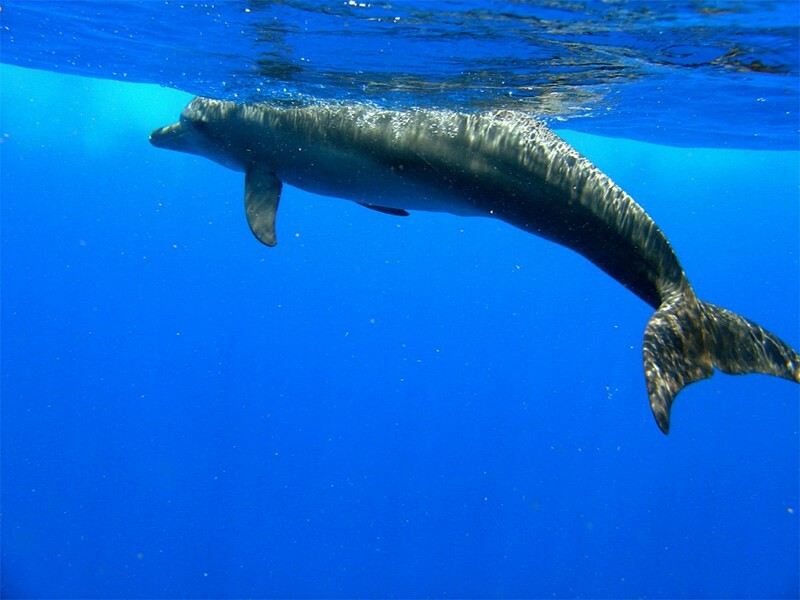 Dolphins and whales rely on sound to navigate, communicate, and located prey. This office has brought a series of cases going back to the late 1990's, including litigation in 2008 over the Navy's use of mid-frequency active sonar in undersea warfare exercises in the Hawaiian islands, where we were successful in getting an injunction—a court order that ensures that adequate measures would be put into place to protect whales and dolphins from some of the worst harms of that training. In September of 2013, Steve was part of a team that secured an important ruling regarding Navy training off the coast of Washington, Oregon and northern California, and as we speak, is following up on that to try to ensure that we'll have adequate protections in place. Here in Hawaiʻi, the latest case that I'm working on involves a decision in December of 2013 by the U.S. Navy and by the National Marine Fisheries Service, which regulates activities in the ocean, for ramped up training and testing off of Hawaiʻi and southern California. During a five year period from December 2013 to December 2018, the Navy plans to emit over half a million hours of sonar. Whales and dolphins rely on their hearing in order to be able to carry out all types of activity that are necessary for their continued existence. They need that hearing to find prey, to communicate with other members of their species, to care for their young. In addition, the barrage of sound that the Navy has planned would disrupt resting, feeding and all sorts of things that these marine mammals need to survive. The Navy itself and the Fisheries Service have concluded that this barrage of sound would result in nearly ten million instances in which whales, dolphins and other marine mammals would be prevented from carrying out essential behaviors—resting, feeding, communicating, caring for their young, breeding, and all the things they need to continue living. In addition to what are called "harassments," the Navy is planning to triple the use of its most powerful mid-frequency sonar to nearly 60,000 hours over the next five years. These sources are so powerful that a single ping can permanently damage the hearing of a marine mammal that is a football field away, only 100 yards away. Sonar has not only been implicated in the temporary or permanent loss of hearing and the harassment of animals, but it also has been implicated in many deaths. Here in Hawaiʻi in 2004, a sonar event resulted in the stranding of approximately 200 melon-headed whales off of Kaua'i that resulted in the death of a whale calf. Sonar has been the likely cause of many similar events: Greece in 1996, the death of 12 beaked whales; the Bahamas in 2000, the stranding of 17 whales and dolphins and the confirmed deaths of seven; Madeira, Spain in 2000, the death of three beaked whales; Canary Islands in 2002, the standing of 14 beaked whales, with 11 confirmed dead; Spain in 2006, the stranding of four beaked whales, with two confirmed dead; and on and on. In addition to sonar training, the Navy is also proposing to explode more than a quarter million bombs, missiles, mines and other explosives. During similar events in 2011, a single demolition event killed dolphins off the coast of San Diego. All told, we have an incredible level of death and injury that is expected from this training, with the Navy and the Fisheries Service themselves estimating up to a 155 deaths, over 2,000 permanent injuries, including the loss of vital hearing—nearly ten million of these significant disruptions. We need to do something because whales are critically important—they are critically important to the ocean environment and the resilience of our ocean ecosystems. Recent studies have shown that whales serve as "ecosystem engineers," helping with the cycle of nutrients through the layers of the ocean, increasing the productivity of the ocean ecosystem and increasing the number of building blocks of the ocean, phytoplankton. "Whales serve as 'ecosystem engineers,' helping with the cycle of nutrients through the layers of the ocean, increasing the productivity of the ocean ecosystem." In addition, whales have incredible cultural significance. Here in Hawaiʻi, we are representing Native Hawaiians for whom whales are often what are called ʻaumakua, family gods or guardians. Whales are also associated with one of the four major Hawaiian gods, Kanaloa, whose realm is the ocean. Traditionally, Hawaiian fishermen would look to marine mammals, like Hawaiʻi's false killer whales, to identify productive fishing grounds. Even for modern folks, whales are a source of both enjoyment and profit. In California and Hawaiʻi, it was estimated that over $110 million was generated by the whale watching industry in 2008, with over a million people participating. For all sorts of reasons, we need to make sure that the Navy acts more responsibly when carrying out its training. Kari: Does this lawsuit intend to stop all Navy sonar use in the Pacific Ocean? David: Oh no, not at all. The lawsuit is very clear: What we are trying to do is make sure that the Navy trains in a more responsible manner. As parents always say: it's not what you do; it's how you do it. The science is very clear that the best way to protect whales and dolphins from the worst, most severe effects of Navy training is to put in place some reasonable time and place restrictions. As mentioned, the most powerful sonar can deafen a marine mammal at about a football field's distance away. So we need to remove those activities from the most biologically important areas if we are going to avoid the most severe damage, the permanent deafening of marine mammals. If we are going to avoid the types of deaths that occurred off the coast of San Diego with explosives training, we need to create some buffer zones and safe havens for marine mammals. I mentioned earlier, a case from 2008 that this office brought, and in issuing its injunction putting off-limits all areas within 12 nautical miles of the Hawaiian coastline (with a couple of exceptions), the federal court noted: "The weight of scientific evidence points to avoidance of marine mammal habitat as the most effective means of minimizing sonar-related injury to marine mammals." And that's exactly what we are asking for in this case. The Fisheries Service itself has identified areas of particular biological importance here in Hawaiʻi and off the coast of Southern California. All we are asking is the Navy and Fisheries Service take a close look at each of those areas and determine which ones can be protected from these most destructive activities, and still allow the Navy to conduct its mission. Many of these areas are only used seasonally by marine mammals—in other words, the humpback whales are only here in Hawaiian waters during the winter months. Blue and fin whales only feed off of southern California from June to November. So there's a lot of opportunity for the Navy to do training in areas with zero risk of harming any of these endangered whale species—if only they would put in place some reasonable time and area restrictions. Kari: Steve, Earthjustice represents a wide diversity of clients, from small grassroots groups to large national organizations. Can you talk about our efforts to protect forage fish on the East Coast and how that issue can illustrate our diversity of clients? Steve: Working with the diversity of clients is probably one of the best parts of our job. We get to work with all kinds of groups concerned about many different issues, and our work in the Northeast to protect forage fish—the fish that drive the ocean ecosystem—really illustrates that. Populations of more visible animals, like whales and some commercially valuable fish, like striped bass or cod, are all very closely related to the abundance and health of the smaller, and often unseen and underappreciated, species. Those are fish like sea herring, river herring, shad and menhaden stocks in the Mid-Atlantic. All of these fish are the engines that drive and power the entire ocean ecosystem. But starting in the late 80's and into the 90's, we started seeing increased, very large-scale exploitation of these forage fish in both the Mid-Atlantic and New England. That was the result of two things: poorly regulated and direct overfishing, and also excessive bycatch of those important forage fish in other fisheries, where they were non-target species and basically discarded. We've been working for the last decade with a very broad coalition of groups and individuals in New England and the Mid-Atlantic to try and put a stop to that overfishing and bycatch. That coalition includes individual fishermen and small commercial and sport fishing organizations, who very viscerally understand the tie between healthy fish stocks, like herring, and a viable, sustainable fishery for those species that rely on them. These are people who are on the water every day and who very much understand that species like striped bass depend on having a healthy and plentiful supply of food. It also includes many more large organizations like the Pew Charitable Trusts and the Natural Resources Defense Council. Those groups stretch from Washington, D.C. all the way north to New England. Bringing all of these groups together in a coalition has been incredibly powerful in advancing this issue. We have ocean lawyers on the ground in New England, who have been able to help develop and grow that coalition, and who have been an active part of a full court press for change at the administrative and policy level. And when it becomes necessary, Earthjustice often serves as the legal arm for the coalition when litigation is necessary and we have to ask the courts to step in. Kari: I'd just like to add that due to the generous support of our donors, we're able to provide legal defense to other nonprofits, community groups, and client groups for free. Since our founding more than 40 years ago, our expert litigators have represented more than 1,000 public interest clients, large and small—always without charge. Support from individuals and foundations is the lifeblood of Earthjustice's work. With that support, we're able take on the most important challenges of our time—and we stick with them until we win. Kari: From Peter in Washington and Carlen in Illinois: Are we doing any work about Navy sonar testing along the northwestern coast? Steve: As David mentioned, we had a case where we successfully sued the National Marine Fisheries Service over the permits that it issued to the Navy for the training period of 2010 to 2015. 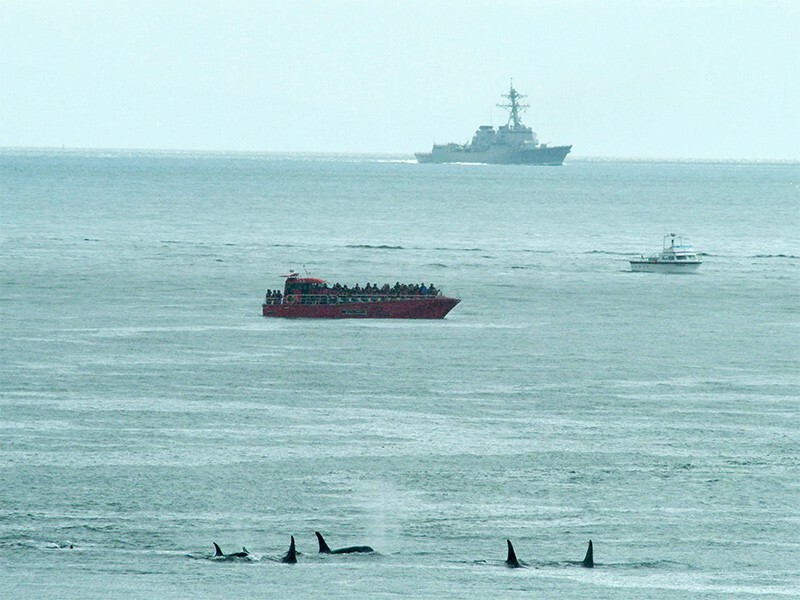 A U.S. Navy vessel encounters a research ship and pod of orcas. The shrill, repetitive whistle produced by sonar harms marine mammals. In a nutshell, the court said the Navy had underestimated the impacts to marine mammals from the use of sonar and sent the National Marine Fisheries Service back to the drawing board to apply what we now know about the harms that sonar causes. That has wound its way forward, and right now we're looking at the next five year permit for the Navy's activities. We've been working with our clients to advocate for similar protections that David spoke about earlier, namely the time and area restrictions for training. We have a slice of coast that stretches all the way from the Canadian border, that includes Puget Sound, all the way down to northern Mendocino County in California. It's a very vast area of ocean, about the size of the state of Montana, and not a single square inch of it to-date has been put off-limits to training and testing at any time of the year. We've been working very hard and will continue to do so to ensure that the best mitigation—staying out of areas that are biologically important when whales are there—is a part of this next permit process. The "poster child," if you will, for this effort is the Olympic Coast National Marine Sanctuary, which is off the Olympic coast of Washington State. Right now, the Navy can train in all areas of that sanctuary, which is very counterintuitive and takes the meaning out of the word "sanctuary." That area is incredibly biologically rich; it's home to both migrating and resident populations of whales and dolphins. We are engaged in a very broad effort to prevent the training and testing in those areas. Kari: This question is from Drew in Florida, regarding Navy sonar mapping: Can't they use computer modeling instead of real sonar testing? Is there any less harmful technology available to do this type of work? David: The issue that the Navy presented is that in order for sailors to become skilled in using this technology in all different sorts of conditions, they need to have real-world experience. Generally when you are dealing with cases involving the military (I've done a series of cases through the years involving not only the Navy, but also the Army), we find that courts are going to be very deferential to the military's judgment about what it needs to do in order to be trained. I think there is some commonsense appeal to what they are saying, which is you can do a fair bit with computer simulation, but you also need some experience out on the water. Our perspective with respect to that is, the Navy says that it needs to be able to train sailors in a number of situations—different ocean bottoms or bathymetry, different weather. The fact of the matter is, no individual sailor is going to be able to practice in the real world in every possible permutation of those conditions. So what you need to do is look for which areas need to be put off-limits—which areas will still allow the Navy to do realistic, on-the-water training to supplement the simulation training, but will also ensure that we can minimize, in particular, the most extreme forms of harm to marine mammals. The unfortunate reality of, for example, sonar is that it travels very long distances across the ocean—it's pretty much impossible to avoid all harassment of marine mammals if you are going to do this kind of training. So as a society we need to make a choice—this is more of a policy issue, than a court of law, legal issue—we need to decide what level of harm to marine mammals we are going to accept in order to have this training. But, the deaths and the permanent loss of hearing—those happen in relatively close proximity both to the sonar training and to the explosives training. There is an opportunity for us to allow the Navy to do the training that it says that it needs to do, but also avoid these most extreme and permanent harm to individual marine mammals, and the populations that rely on those marine mammals to continue existing. We need to look at areas like the marine sanctuaries. There is very good information that's been developed—from what ironically largely came from Navy funding—about which areas around the Hawaiian Islands are particularly important to marine mammals. What we're asking the president, as commander-in-chief to do—and that's in the action alert—is to instruct the Navy to look at what areas can be placed off-limits to protect marine mammals. We believe that there is an appropriate balance between the level of harm we are going to tolerate, and the level of harm we can avoid. And we can do that by identifying the particularly important areas—some of which are only used at certain times of the year—and avoid the deaths and permanent injuries and try to bring down the level of harassment. "There is an appropriate balance between the level of harm we are going to tolerate, and the level of harm we can avoid." Kari: The next question is from John in California. He's asking about the contribution of wastewater treatment plants to ocean protection issues. I believe both of your offices have work in that area. Steve: I'll start, and then, David, you should have a great opportunity to talk about your work in Hawaiʻi in a little bit more detail. It is true that wastewater treatment does have an outsized impact in many marine areas, particularly in estuaries. When you look at areas like the Chesapeake and, my backyard, here in Seattle's Puget Sound, there is an impact from those facilities. There is an effort here in Washington State, that we are a part of, to ratchet down (or ratchet up, depending on which side you're coming at it from) the protections and standards that apply to wastewater treatment that's discharged into Puget Sound, particularly with respect to nutrients, but also with respect to pharmaceuticals and other pollutants that traditionally have not been part of the wastewater treatment process that are getting into the marine waters. We are starting to see them showing up in strange places—in the blubber of marine mammals, for example, or in fish tissues. And that's above-and-beyond what is often thought of as the classic pollution from wastewater treatment plants of excessive nutrients and algal blooms. David: Historically, humans have viewed the oceans as a great dumping ground—if we put it into the ocean, it just goes away. But increasingly, the science shows that is not the case. The experiences we've had, show us that's not the case. Right now, we are litigating a case against the county of Maui involving the use of injection wells to dispose of wastewater on the west side of Maui, near the town of Lahaina. For years, there was this phenomenon off the coast of the wastewater treatment plant of huge algal blooms—blooms of seaweed that would blanket the reefs. And, increasingly, those algal blooms have been destroying the reef. Kahekili Beach on west Maui. Millions of gallons of wastewater injected into wells at the facility each day surface offshore of this popular beach park, killing the coral reef and triggering outbreaks of invasive algae. So, from one of the most productive reefs in the Hawaiian islands, off of Kahekili Beach, we've seen coral cover decline in a matter of years, from over 50% down to about 37%. And the scientific consensus is that that is due to the nutrients that are going out onto the reef from the injection wastewater. When the county of Maui first starting planning this facility in the 1970's, they knew that the wastewater they would place into the injection wells would get out into the ocean. But they never bothered to apply for a permit under the Clean Water Act to make sure that whatever pollutants that would be reaching the ocean would not harm the marine environment. When I talk about pollutants, it's certainly the nutrients of nitrogen and phosphorous that's a huge part of the problem, because that feeds the algal blooms, allowing the algae to dominate the reef and destroy and convert the reef into a non-reef environment that is no longer productive for fish. But the mere fact that you're increasing the amount of freshwater entering the marine environment is also devastating to coral. For those who have spent time in areas with coral, you will notice that at the mouths of streams where a lot of freshwater is entering the ocean, you don't see coral colonies. And that's because between the low salinity and the acidic nature of freshwater, the pH is just wrong for coral. 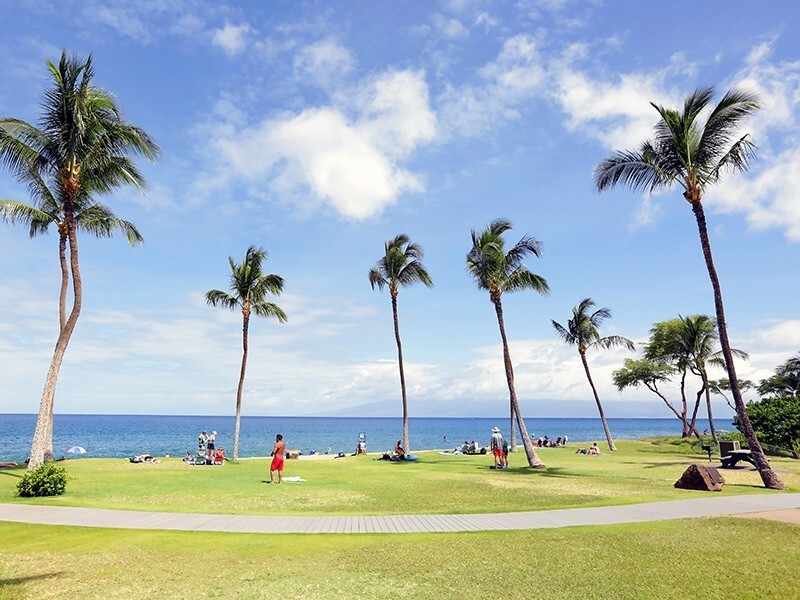 The Lahaina wastewater treatment facility injects into the wells each day 3–5 million gallons of treated wastewater. And it's actually treated to a very high level—R1 water, with R0 being drinking water. So it's not a case where you've got very untreated wastewater going in there. But it is high in nutrients, and it is freshwater. It turns out a study that was funded by the EPA determined that one out of every six gallons of groundwater entering the ocean in this part of the Maui coastline is due to this wastewater treatment facility. What's happening is that groundwater percolates up through the architecture of the reef and literally dissolves it from the inside. So you've got a double-barreled assault: the freshwater dissolving the coral structure from the inside, and the algae from the outside dominating and suffocating the reef. This presents an opportunity in West Maui to both protect the ocean and also address a chronic drought condition in West Maui. They have chronic water shortages, so to meet the demands of golf courses, resorts, and other commercial developments, they either over-pump the groundwater or they divert native streams, harming those stream organisms and ecosystems. What we've been advocating for is a rational plan where the county would stop injecting and start reusing that wastewater, which, because of its high quality, can be used to water golf courses and to grow agricultural crops. Basically, you would both save the ocean, and save the streams. Kari: Our next question is from Richard in New York, and he asks if we have any efforts to protect the ocean from plastics pollution. We hear a lot about that floating mass of garbage out there. Steve: There're two obvious sources for that plastic, and one of them is the disposal of that plastic on land by all of us. Whether it's through careless management or intentional, it gets transported downstream to the ocean. We do have a number of efforts in each of our regional offices that are bordering the oceans to reduce that kind of pollution. The most interesting and challenging part of this is figuring out how to clean up the plastic that's already out there. We've all heard of the Great Pacific Garbage Patch where all of this stuff has floated and collected. And because it's out in international waters, it's now an international problem, regardless of where it came from. That's the challenge we've been taking a look at, to see whether there are international mechanisms where we can address ways to clean that up. Kari: I'm going to dub this the ‘Finding Nemo' issue—David, both Bill and Angela in Hawaiʻi are wondering about the aquarium trade and what we are doing to protect fish from being taken from the ocean for personal aquariums. David: Earthjustice has been engaged on this issue for a number of years. We've been very concerned about the effect on the ocean environment of the aquarium trade for the sake of the reef which depends on having healthy populations of fish on the reef to maintain a balance. I was talking before about the Lahaina case and the algal blooms that are destroying the reefs. Well, one of the efforts that state agencies have done in order to try and address damage to the reef from algae is our Division of Aquatic Resources established a zone in which it is prohibited to fish for any omnivorous fish. So you can't go out and try and catch, for example, parrotfish, because they will graze on the algae and keep the reef clean. Ironically, that same state agency hands out permits to people to collect aquarium fish without any oversight, without any examination of the environmental effects of what the implications are of allowing all these commercial operators to go out there and gather the fish and then send them off to various collectors on the continental United States. So we've been in court to challenge that practice and to require the Division of Aquatic Resources to examine what the environmental effects are, because we believe there are some very harmful effects to the reef of this over-collecting, both in terms of upsetting the ecosystem, as well as upsetting the ability of people to go out and actually see fish in the wild, rather than in someone's tank. Unfortunately, the state's been resisting these efforts—but we are pursuing those in court. We are also concerned about the harm to the individual fish, because the statistics are quite clear that fish gathered for aquaria don't do well. Again, it's part of a rational decision-making by an agency before they authorize the use of this resource: it's a public trust resource—it belongs to all people in the state of Hawaiʻi. They need to give a long hard thought to the effects on the reef and to the effects on the individual fish. The Deepwater Horizon Spill: Where Did the Oil Go? Kari: This question is from Marin in Michigan: There's oil from the Deepwater Horizon disaster found in the Gulf [of Mexico]—how is that affecting marine life there and elsewhere? Steve: This is the great mystery of the  Deepwater Horizon oil spill. For a number of years directly after the spill, the question was: where did the oil go? There was a lot of thought that somehow the massive amounts of dispersants that were applied during that process ended up taking care of a lot of the problem. And there were scientists who were a little bit ahead of the game, so to speak, who said that maybe all the oil is gone. 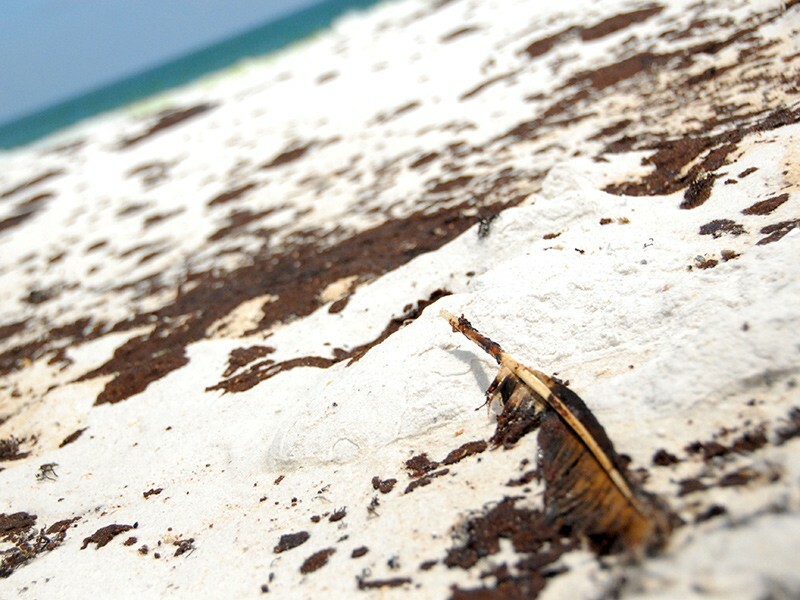 An oil-coated feather washed onto a Pensacola beach on June 23, 2010, following the BP Deepwater Horizon explosion and oil spill. But as we are learning more and more, that oil has deposited itself in places where people had not previously been looking. There have been a number of stories and studies very recently, within the last year or so, that are finding impacts to everything from dolphins to fish species in localized areas where it's now believed some of that oil has deposited. And it is continuing to affect marine life. The great tragedy of that oil spill was both the fact that it happened and the damage that was done. But there are many scientists who are predicting that the real great tragedy will become apparent over time, as we continue to see those impacts—which is one of the reasons that motivates our fight against future development of additional oil and gas leases in places like the Atlantic Ocean and the Arctic. We've seen time and time again that we as humans are not perfect and accidents occur—and those accidents will occur. The way to prevent the damage that we are now seeing in the Gulf is to prevent it from happening in the first place. There are just too many sensitive areas and too many sensitive waters that have been subjected to oil and gas development already in the Gulf of Mexico. And to export that model to the East Coast or to export it to the Arctic, where oil and gas development is not only untested but incredibly challenging and dangerous in its own right because of the climatic conditions and the ice in that area of the world, is just not the place we need to go right now. "The way to prevent the damage that we are now seeing in the Gulf is to prevent it from happening in the first place." Kari: Steve, Shell Oil just announced their plans to drill in the Arctic this summer. What are we doing here at Earthjustice to stop them? Steve: Quite a bit. At our Alaska office, with offices in both Juneau and Anchorage, a number of those attorneys are right now dedicated to stopping that oil exploration and development [planned for] this summer. And that effort stretches all the way down to here in Seattle; Shell has just received a lease from the Port of Seattle to house a lot of its Arctic drilling equipment in the off-season. There's been a public outcry and a very big move to get our port to re-visit that lease and that issue and to reject Seattle from becoming the homeport for Shell's oil and gas development. So we're coming at it from both ends: on the regulatory permits that will be issued for that drilling, as well as trying to stop the supply line, down here in our own backyard in Seattle. Kari: Luke from Washington, D.C. wants to know to more about our work to protect Steller sea lions. Steve: We have been working for almost two decades to rein in what is often referred to as America's largest fishery, measured in terms of volume of fish. There's an industrial trawl fishery in the Bering Sea and the Gulf of Alaska for species like Atka mackerel and pollock, which are used for fish sticks, fish sandwiches, lots of processed food, imitation crab, you name it. Those fisheries take millions of tons a year of those fish out of the ecosystem in that part of the world. The western stock of Steller sea lions has declined by almost ninety percent from their historic levels. What we started seeing in the 90's was a very rapid and pronounced decline in the Steller sea lion populations, everywhere from the Aleutian Islands all the way along the coast of Alaska. And those declines were no big mystery: we had this giant industrial trawl fleet taking a huge portion of the fish out of the ocean—and it turns out the sea lions rely on those fish for prey. 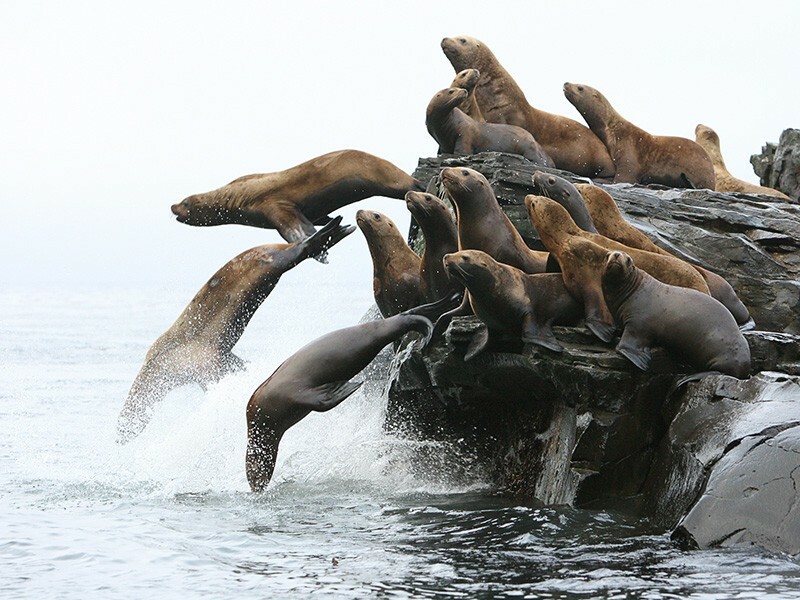 During the late 90's and early part of the 2000's, we secured court injunctions preventing that fishing from happening in Steller sea lion critical habitat. Those protections and others were eventually incorporated into the National Marine Fisheries Services' regulation of that fishery. But what we've seen in the last couple of years, unfortunately, is a renewed effort by the trawl fleet to rollback a lot of those protections and to get back into those areas they've been excluded from the past ten years, to up the catch again. And just before Christmas, we went to court in Alaska, yet again, to defend the gains that we've helped achieve in the past ten years, because the National Marine Fisheries Service is starting to give in to some of that pressure and has loosened some of the restrictions on fishing. The worry, of course, is that that's just the tip of the iceberg, and more protections will be undone over time. So we've gone back to court to challenge the agency's decision to backslide, unfortunately, on some of those protections that we've achieved for Steller sea lions. 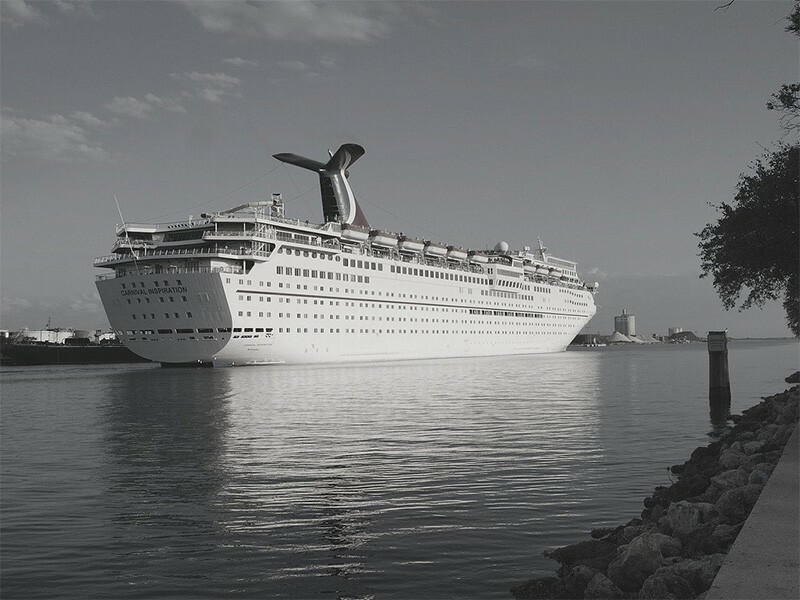 Kari: Maureen from Michigan has this question: Is there any pending litigation to better regulate sewage dumping from cruise ships, or to force cruise ships to update their wastewater systems? A Carnival cruise ship leaving Florida for the Gulf of Mexico. In 2013, cruise ships dumped more than one billion gallons of sewage in the ocean, much of it poorly treated. Steve: I don't know if there is pending litigation on that issue, but there has been in the past. The agencies—EPA, in particular—have been looking at doing discharge permits. What I have heard most recently is that there is a movement afoot in the new Congress to undo some of the protections that have been achieved through past rounds of litigation on that issue—both with respect to ballast water discharges, and to what are called "incidental" discharges from smaller vessels, which can range from anything from sewage, to washing water, and other things. There is a bill that I believe either was introduced or is about to be introduced by Senator Rubio and others, trying to undo the protections that even the EPA has put in place so far, which of course don't go nearly far enough. But there is definitely an effort to rollback even what's been achieved through litigation in the past. David: Here in Hawaiʻi, we brought some litigation in the past involving the effects of cruise ships. We were primarily trying to get state agencies to evaluate the environmental impact of allowing cruise ships to the island of Molokaʻi, which is a relatively undeveloped island that had concerns about the effects of cruise ships, including the effect on the marine environment. Ultimately, in that particular case, it resulted in the cruise ship facing a lot of public opposition and deciding not to travel to the island of Molokaʻi—at least, at that point. In future years, they were able to reach an agreement with the local community to try and reduce the effects of their operations. Kari: Thank you, David and Steve, and I want to thank everyone on the call today for the great questions and for joining us. Steve and David did a great job speaking with us today about our work to protect and build the resilience of our ocean ecosystem. Our oceans need lawyers too. For more information on these issues, visit earthjustice.org/oceans. We also encourage you to check out the Action Center on our website, and that's at earthjustice.org/action, where you can find ways to take action and support our cases. On behalf of Steve Mashuda and David Henkin, and all of us here at Earthjustice, we appreciate your continued support and thanks again for joining us. David defends Hawaiʻi's wildlife and ecosystems, from Oʻahu’s Mākua Valley to the surrounding tropical waters. His work has focused on securing Endangered Species Act protection for Hawaiʻi's unique and imperiled flora and fauna. Focusing on Columbia-Snake River system litigation in the Pacific Northwest, Steve fights to preserve ecosystems not only for salmon, but also for orcas and the many other species that depend on salmon for their survival. Go diving, in a video with attorney Andrea Treece as she explores the role parrotfish play in protecting the Caribbean coral reef ecosystem. Acclaimed photographer David Doubilet discusses how ocean stressors negatively impact the aquatic environment. "We can no longer view our oceans as an inexhaustible, limitless resource if we are to sustain them going forward. Earthjustice is fighting in court to turn the tide against these dangers."